I get recipes from all sorts of places. I recently signed up for Twitter, and one of the people I follow posted, "...Need stuff for dark choc cherry brownies and chocolate sauce. Wonder when liquor store opens-need kirsch." I had kirsch in my pantry, and was intrigued so I contacted her for the recipe. It comes from Cooking Light, and there wasn't any kirsch in it, and while I think I have figured out that she put it in her chocolate sauce and possibly not her brownies, I decided to substitute the water for kirsch in this recipe. And whew, it was strong, but between the jam and alcohol you end up with a nice fruity flavor. But the texture and flavor of these, for a light brownie, definitely delicious. The recipe can be found here, but I'll included it in the blog since I altered it a bit. 2. Line a 9-inch square baking pan with parchment paper; coat with cooking spray. 3. Weigh or lightly spoon flour into dry measuring cups; level with a knife. 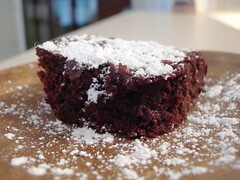 Combine flour, 1 cup sugar, unsweetened cocoa, baking powder, and salt in a large bowl; stir with a whisk. Combine cherry preserves, 1/3 cup water, and butter in a small saucepan; bring to a boil. Add preserves mixture to flour mixture; stir well. Add egg and egg white; stir until smooth. Stir in semisweet chocolate chips. Scrape batter into prepared pan. Bake at 350° for 25 minutes or until a wooden pick inserted in center comes out with a few moist crumbs. Cool in pan on wire rack. Garnish with powdered sugar, if desired. I'm interested in following you if you are in Twitter. 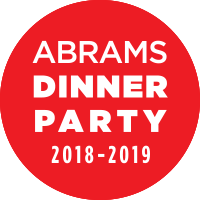 I have found a few bakers so far - CakeSpy, Baking Soda, and Ice Cream Guru David Lebovitz. For those of you who don't know, Twitter is one more social networking site where users update their status in 140 characters or less. Some of it can be pretty mundane, but others use it creatively. It is a fun way to follow famous people or friends in their daily lives. My account is the place I stick all the quotations I come across in books or music. Most of the time when I pass by The Sisters McMullen in Asheville, NC, I manage to be around when it is closed. This past Friday I had the day off and as we wandered up the street from the Black Mountain College and Arts Center, I saw that it was open. The Sisters McMullen Cupcake Corner is a tiny spot, with just a few tables, but there are many baked treats, often including vegan options. It looks like there is a companion cupcake corner in Mars Hill, NC, but I have not personally experienced that shop. Cupcakes are their specialty, but they had pastries, muffins, cookies, sandwiches, and hot drinks as well. 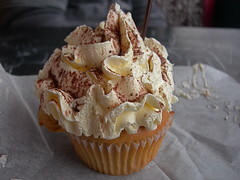 I picked a vanilla latte cupcake. The cupcake itself was moist and slightly chewy on top (in a good way), and the buttercream tasted like the Italian kind - light, airy, and delicately sweet, not the powdered sugar or food coloring bonanza goo you often find. The guy behind the counter said that the bakers have creative freedom and are always coming up with new flavor combos for the cupcakes. That is what I love to hear, and I hope I manage to be back when they're open. My suggestion - grab a cupcake to go, and walk down the street to the Double Decker Coffee Company for a Mayan hot chocolate and a great people watching spot from the upper level. I have been experimenting with a cheesecake recipe from my friend Abbey. The possibilities are endless! 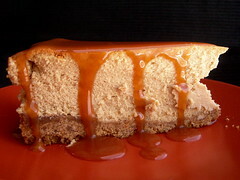 The first one I tried was a coffee cheesecake with homemade caramel sauce. For the caramel sauce, I used a pretty simple one by Ina Garten, and it may be the first time in my life where a caramel recipe didn't completely destruct on me. I'm not going to post the recipe for this cheesecake.... yet. Stay tuned. I may have another variation in the oven as we speak. The danger in reading other blogs is constantly finding recipes that you want to try. When I saw this cake over at Culinary Concoctions by Peabody, I knew she had ensnared me once again into trying her recipe. This is an adaptation of an Ina Garten recipe, and I think it is probably the lemon one I've seen a million times. I wanted to try this so much I went out of my way to buy key lime juice, and raspberries in winter. I consider myself an okay baker, but for some reason, quick breads evade me. I feel like they are always too dry, or get burned on the edges by the time the middle cooks. 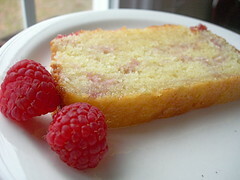 And while she is calling this a cake, I have deemed it a quick bread, because we ate it for breakfast in my house. This recipe is the farthest from dry that you can get. The batter starts out with yogurt and mascarpone cheese, and after it is baked you douse it with a syrup. 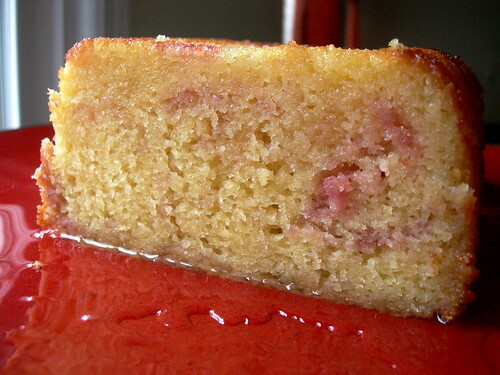 This results in a decadent, flavorful, moist breakfasty cake. The possibilities are wide open - I'm dying to try it with blood orange juice, or maybe meyer lemons. You can also see that my raspberry coulis made more of a patchwork pink pattern than a ribbon like hers, but it still tasted good. I also had neglected to buy limes at the store (although I remember looking at them and trying to remember why I needed them), so I added a bit of key lime juice to the batter as well. There was no shortage of lime here! Please visit her blog for the recipe. You will NOT be disappointed.